Welcome to the summary of today's agma updates! Watch advert for 1k coins! 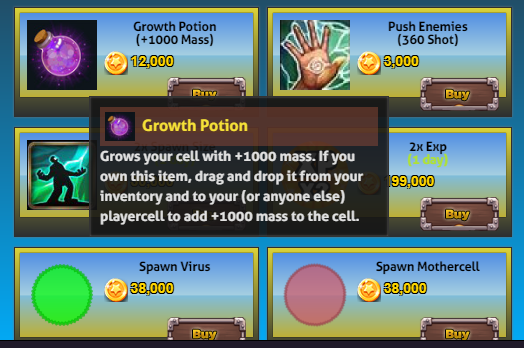 You can now watch an advert in the shop and receive 1000 coins. Watching advert is possible once every two minutes. You can now join party invites from mobile devices! Starting mass on Giant Server is now doubled, which means when you spawn in, you will have twice as much mass as you used to be before when spawning in. The view field for very big players has been increased. On big maps, spectate camera movement is faster, plus a little more viewfield. Gold ore spits more coins! You can now drop viruses on players that are frozen in portal, and the virus will split them into many pieces. Additionally, you can also feed dropped portals (only dropped portals) for long enough (after the portal spits 20 times) and the portal will disappear. Buying multiple items from the store is now much faster. You can buy 5 items of something, and will almost instantly have it available in your inventory. You can now quickly close the purchase confirmation popup box by clicking any where on screen outside the box, instead of having to click the X button. Zooming is possible on mobile devices! Use the top left zoom slider, and turn on "infinite zoom" in the settings for extra zoom. Supersonic gamemode coming in a couple days! 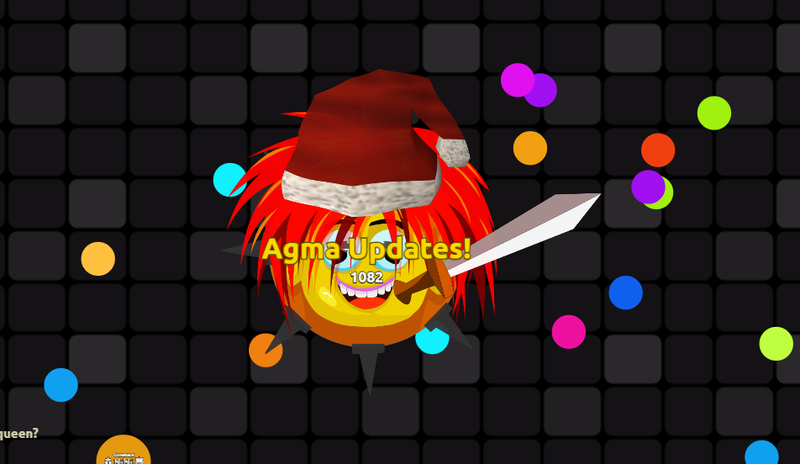 A new gamemode is being released in a couple of days. It's about speed, quick reflexes, and fast reaction time. As always, enjoy, and comment below if there are any bugs, fixes, or things you think should be different. Nice updates lad! We're becoming unique, ahhhh, we've been unique... But, now we're supa unique! How about limiting freeze ability to 60 consecutive seconds? So that means if you're frozen for 60 seconds straight, you'll be automatically unfrozen. That would make it hard for people camping in portal to stay there for a long time. That Would Be Amazing! Would This Also Mean You Can Freeze Your Opponent " Ice Barrage " ?